The Department of Medicine was started in 1913 under Col. C. A. Sprawson. Initially the staff consisted of a Professor of Medicine, a lecturer and 2 part time physicians. The outpatients was manned by the Lecturer in Medicine, a post filled with great distinction by Late Dr. H. Sahai. An Infectious Diseases Hospital run by the Municipal Board and a Leprosy Hospital were attached to it. From 1946 onwards there has been an all round expansion of the department. From 62 beds in 1932, the bed strength has grown to over 200. The department was shifted to the new site - the Gandhi Ward in 1952. Prof. B. B. Bhatia encouraged research and investigation laboratories as an integral part of the Department and the Cardiology, Neurology, Hematology, Respiratory and Gastroentrology Laboratories were started in his time. In 1964, the Experimental Medicine units and a Human Metabolism laboratory came up under Prof. S. S. Misra. A 10 bedded Clinical Pharmacology Unit was sanctioned by the Council of Scientific and Industrial Research (CSIR) in 1971. The Dialysis (Nephrology), Endocrinology and Coronary Care units came up under Prof. N. N. Gupta in the 1970s. The Units of Cardiology and Neurology were separated as independent departments also under Prof. N N. Gupta. In 1984, Prof. R. N. Misra established the units of Intensive Care Medicine and Gastroenterology. 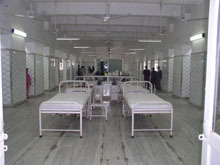 A unified Admission Ward was renovated and commissioned in 2004 under Dr. C.G. Agarwal. The Department of Rheumatology has separated in 2006. 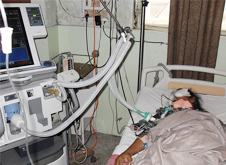 At present the Department of Medicine is headed by Prof.RaviMisra and has 250 beds distributed in 6 wards and ICU. There are 3 male wards. 2 female ward and 1 high dependency ward. The hemodialysis unit has been modernised and 5 new machines have been installed under Prof. A. K Vaish. There are 5 recognised units in the Department of Medicine, namely - Intensive Care, Nephrology, Endocrinology &Medical Gastroenterology. 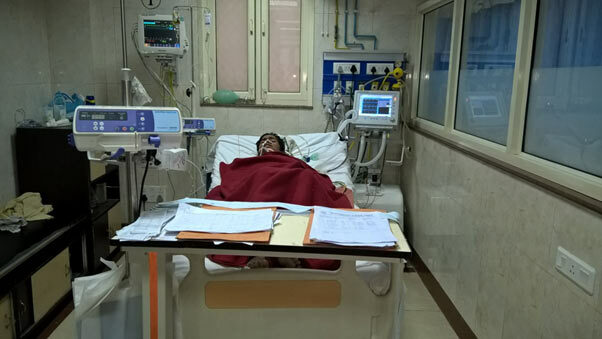 The Intensive Care Unit (ICU) was started as a 4 bed unit in the Department of Medicine in 1984 with electrocardiographic monitoring and recording facilities limited to one room only. With the increasing need of critical care medicine the modern intensive care unit (ICU) with 10 beds was established as separate wing in 1985. The unit was equipped with ventilators, defibrillators and pacemakers along with electrocardiographic monitoring. Color Doppler Echocardiography lab, State Biochemistry Lab and treadmill stress testing lab.The State Biochemistry Lab provides routine blood testing, platelet aggregation studies (for research purposes), coagulation studies and osmolality. The unit caters to patients from the entire state of Uttar Pradesh. ICU was renovated in January 2014, now has 12 beds with advanced automatic ventilators, monitors, defibrillators, BIPAP and infusion pumps. The Endocrinology Unit was started in 1972 and further extended in 1977. In 1987 the unit was expanded with a goiterunit.The unit provides services in different villages by organizing camps. Various hormonal tests are being done. Besides, tests like lipid profile, gylcosylatedhemoglobins, blood sugar, creatinine, calcium, phosphorus, Serum Insulin, C- peptide, T3, T4,TSH, Anti TPO antibody, prolactin, LH, FSH,testosterone, estradiol (E2), progesterone, Cortisol, ACTH, Aldosterone,Metanephrine (urine/serum),Normetanephrine (urine/serum),PTH,Calcitonin,Growth hormone are also being done. This unit also conducts a Diabetes Clinic every Tuesday and Thursday. 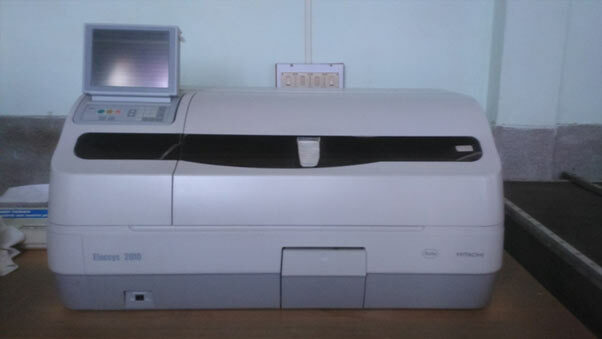 Annual attendance is about 10,000 patientsAdvanced equipments like electrochemiluminescence,auto-analyser,RIA labs are available. The Nephrology Unit started functioning in 1977 in a modest way with only 1 hemodialysis machine. Dialysis was done with the parallel plate Keil board (which is now of historical importance only). The present Nephrology unit is housed in a new building on the first floor and is equipped with 5 hemodialysis machines, peritoneal dialysis machine, facilities for electrolyte estimation and water treatment for dialysis purpose with reverse osmosis plant. 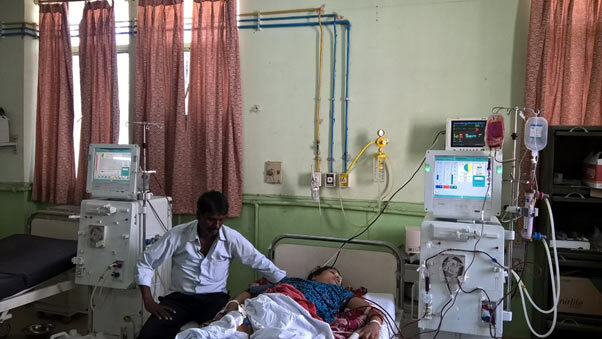 It is one of the first dialysis units in the state of Uttar Pradesh and currently has an output of 5 to 6 hemodialysis and 1 to 2 peritoneal dialysis per day. Besides these, it provides care for patients of kidney diseases including investigative procedures like renal biopsies etc. The unit imparts teaching and training to undergraduate and postgraduate students and provides research facilities to postgraduates in nephrology. The dialysis facility has been recently upgraded with 5 new hemodialysis machines. The Unit of Gastroenterology was established in 1986. The various procedures undertaken in the unit include: gastroduodenoscopy, colonoscopy, endoscopic retrograde cholangiopancreatography, esophageal dilatation, foreign body removal, esophageal prosthesis placement, endoscopic polypectomy, endoscopic sphincterotomy, injection sclerotherapy, common bile duct (CBD) stone removal, mechanical lithotripsy, CBD stenting, intestinal biopsies, ultrasound and ultrasound guided procedures. The unit is actively engaged in research and in training of resident doctors from the Provincial Medical Services. 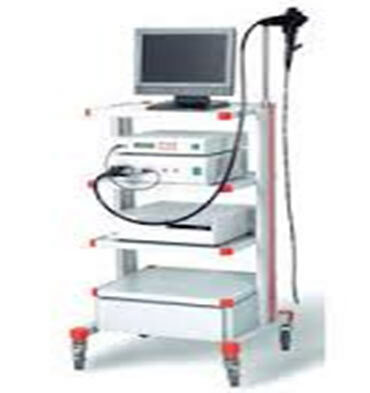 It is equipped with gastroduodenoscopes, colonoscopes, videoendoscopes, electrocoagulation machines, ultrasound and 1000 MA X-ray machine with image intensifier. ART Centre & NACO Training Centre: Recently, the department has been approved for ART (antiretroviral therapy) by the National Aids Control Organization (NACO).